Autumn has come and it's time to go back to school. But which princess has been wearing outfits since last year? In addition, it is a reason to update the manicure. It is very pleasant and uplifting. 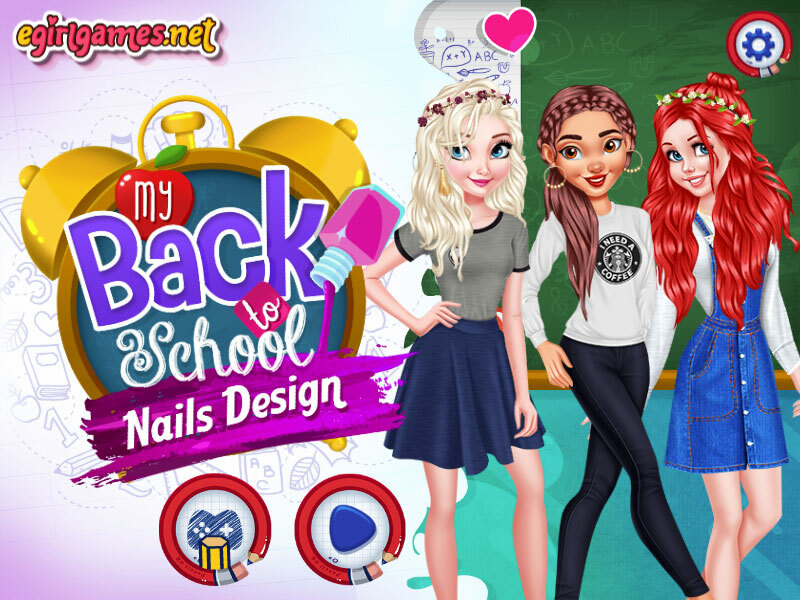 In this game, Moana, Anna and Ariel decided to prepare together for the school year and went to a beauty salon where they would pick up a manicure and hand decorations. As the game "Princesses Return to School" begins, then you will be able to choose each of the princesses and begin to choose a manicure for them. In addition, each of the girls has updated their wardrobe, which means there is something to choose from and give them a new idea of ​​a dress to study. If you have been playing manicure games for girls for a long time, I recommend that you follow the link and see what new games have been added on our site. A huge amount of them and they will give you great pleasure. Played: 2502. Added: 15-01-2019, 09:48. My Back to School Nails Design game. A new nails design for Ariel.